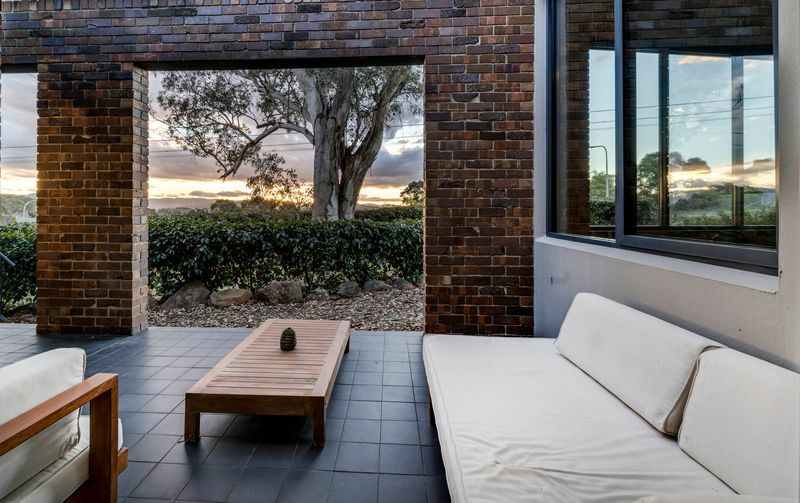 This architecturally designed home to be auctioned sits high on Ginninderra Ridge. 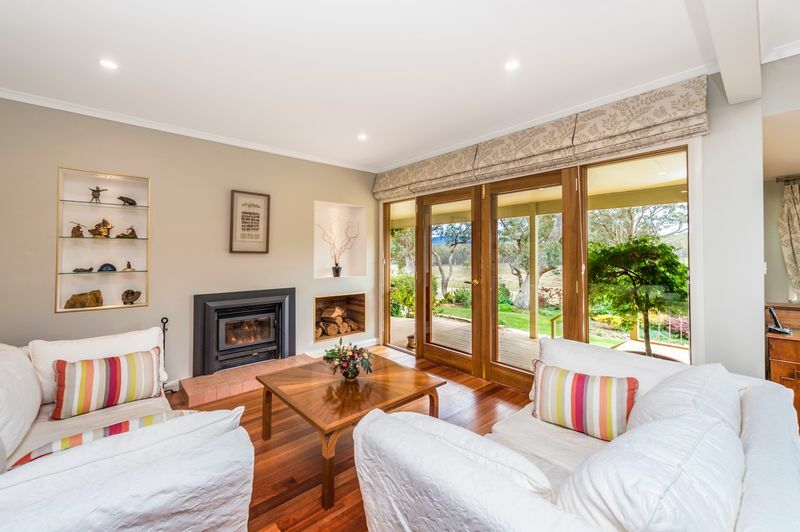 All photos supplied by Ray White Canberra. 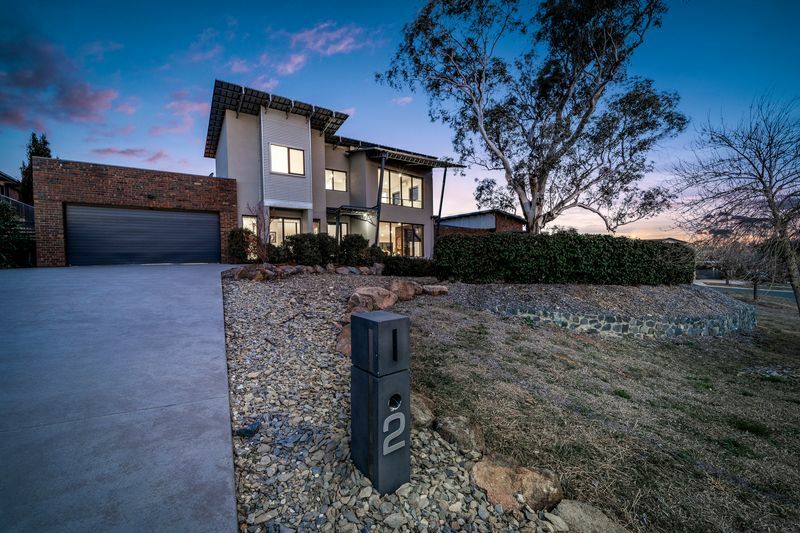 Positioned high on Ginninderra Ridge on a spacious corner block is a ‘one-of-a-kind’ architecturally-designed house with an impressive open-plan industrial feel. 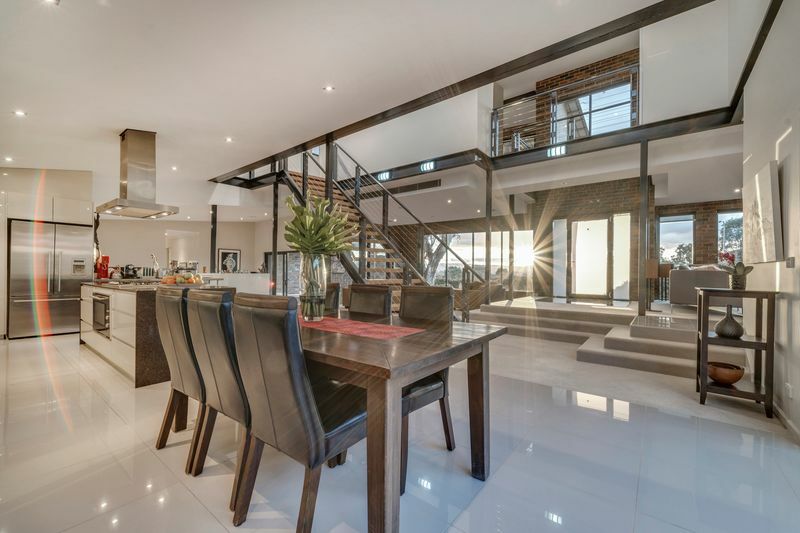 The four-bedroom two-bathroom home at 2 Menzel Crescent, Dunlop will be auctioned on September 27 and boasts spectacular views, soaring ceiling heights, an entertainer’s kitchen and a floating timber staircase. 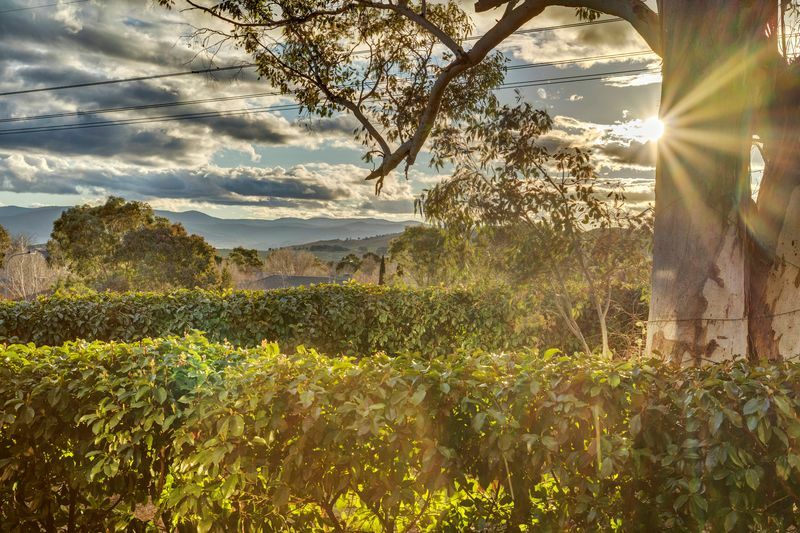 It is the type of property you might more readily expect to see in Canberra’s inner north or inner south but benefits from its Dunlop address in terms of its tranquil surrounds and the opportunity for buyers to get greater value-for-money. 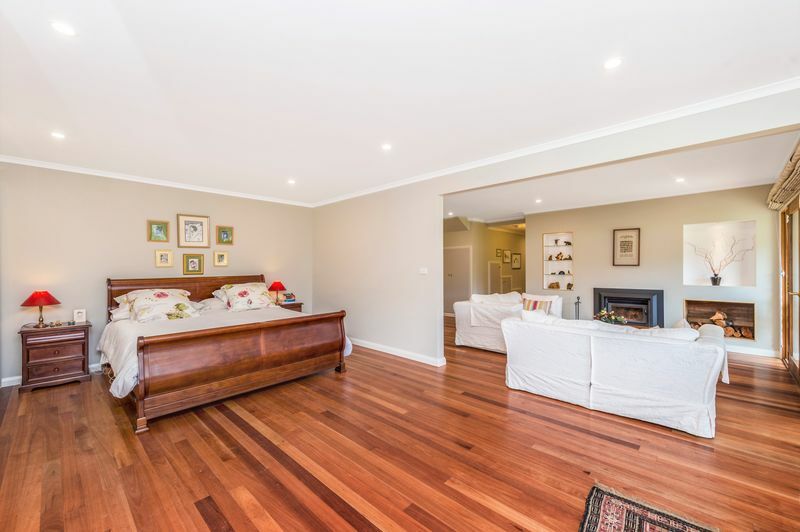 Listing agent Lisa Van Niekerk of Ray White Canberra said the house is not one you would normally expect to find in Dunlop. 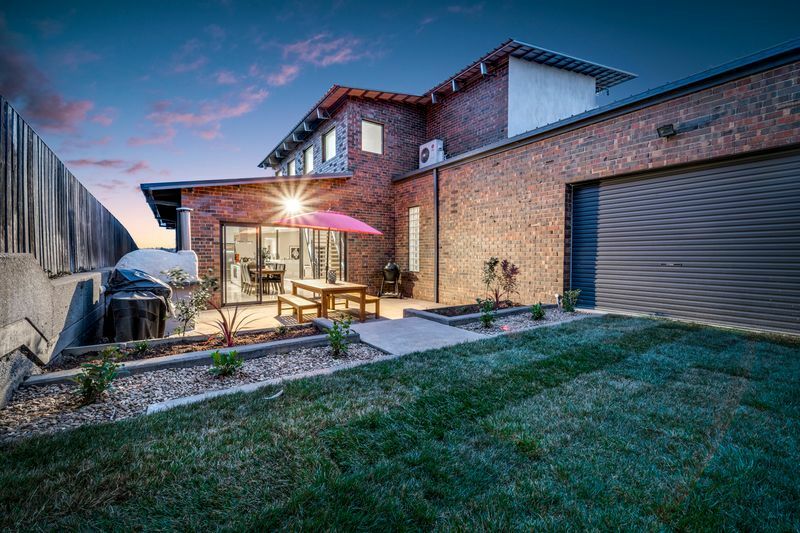 “Its design is so unique and the way they’ve built on the block while retaining the old gum tree in the front yard and the captivating views,” Ms Van Niekerk said. The house sits in leafy surrounds on an elevated 808 square metre block and has multiple living spaces. The floor area is spread over a large 285 square metres of dedicated living space, all open plan over various split levels and with ceilings at times reaching six metres in height. 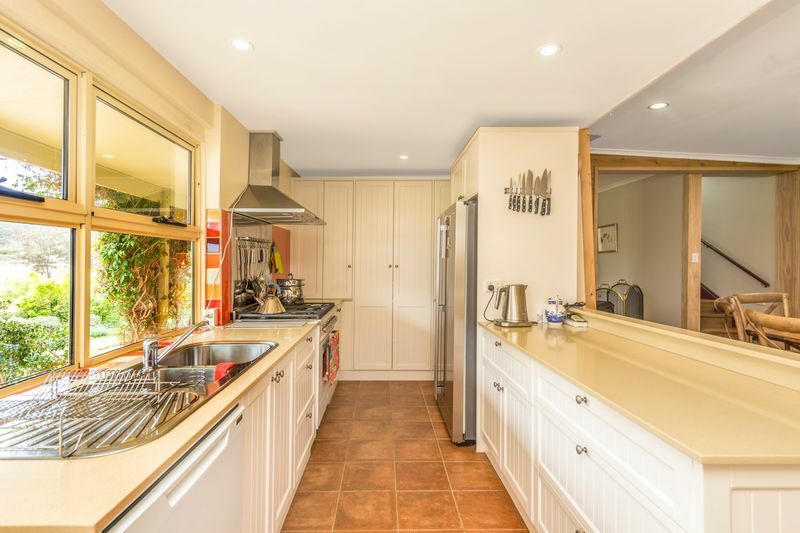 The stylish kitchen has solid granite benchtops, an island bench with waterfall edges and plenty of storage. The luxurious main bedroom is the pinnacle of the industrial design, with a floating timber staircase leading to the bedroom on a private mezzanine level. The bedroom has a large shopfront double-glazed window which showcases the views of the district and mountains beyond. It also features a special ‘bridge’ which leads to the walk-through dressing room and spacious ensuite, complete with dual vanities, separate bath, shower and toilet. The other three bedrooms are also spacious and have built-in robes. They also offer direct access to a private deck, providing separate access and potential for use as a home office. 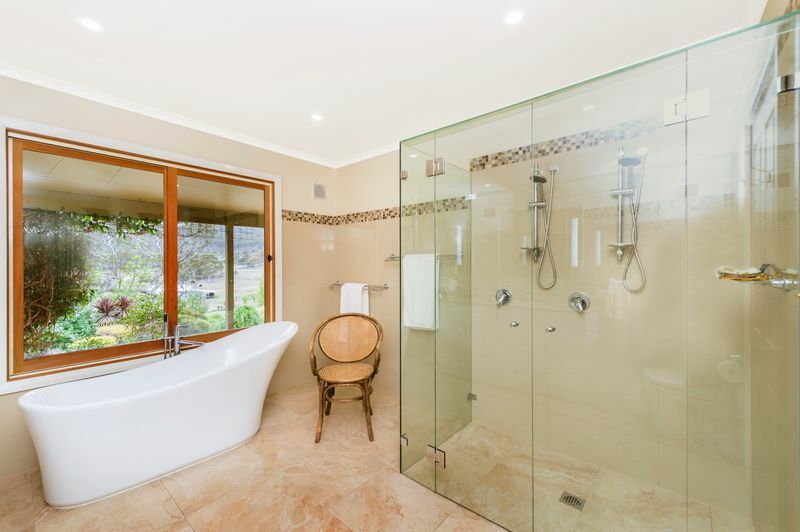 The bedrooms are serviced by the large family bathroom which is beautifully finished with quality fittings and fixtures. The property is open for inspection at 1:30 pm today (September 15). It is set to be auctioned on Thursday, September 27 at 6 pm at the Bradman Room, Manuka Oval. For more information contact Ms Van Niekerk on 0467 977 708 or Jake Battenally on 0413 313 676 or click here.